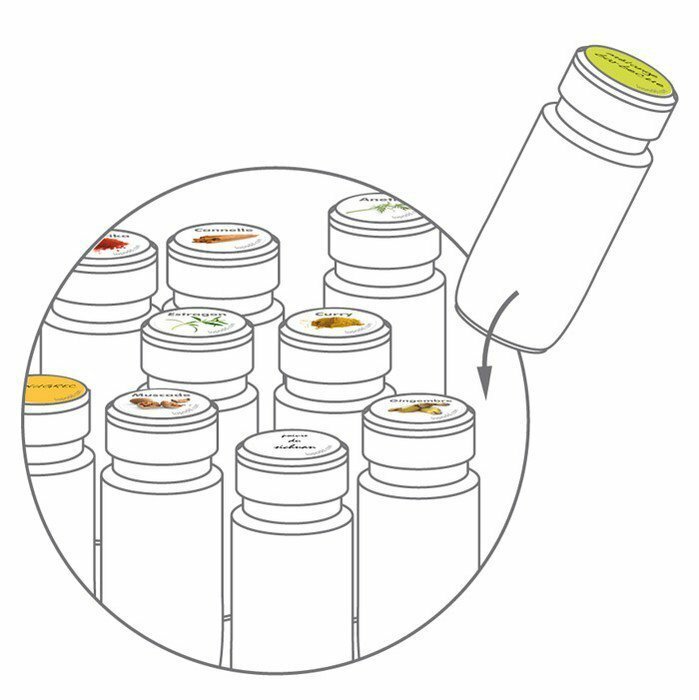 with orderly and quickly recognisable spices you will at last be able to use them more often in your dishes (furthermore, they no longer pick up dust for years in your cupboards). 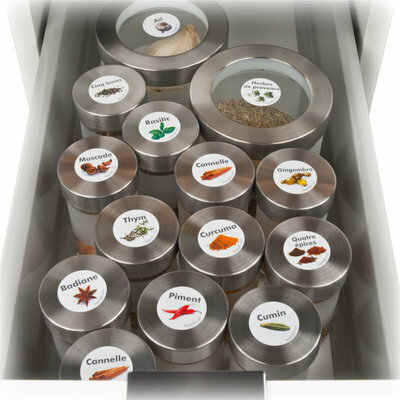 1. peel the discs off the self-adhesive plates to stick them on the top of each of your spice boxes. 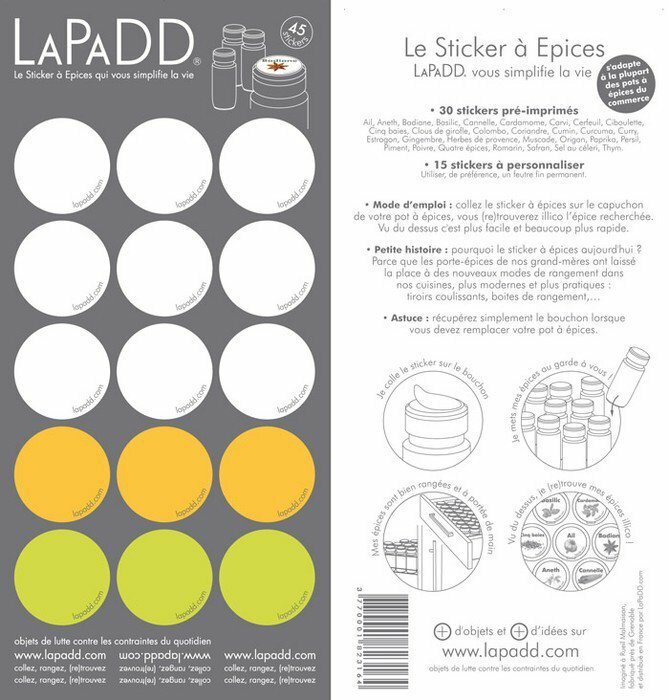 Use the blank stickers for less common spices or the combinations you have (preferably use a permanent marker). 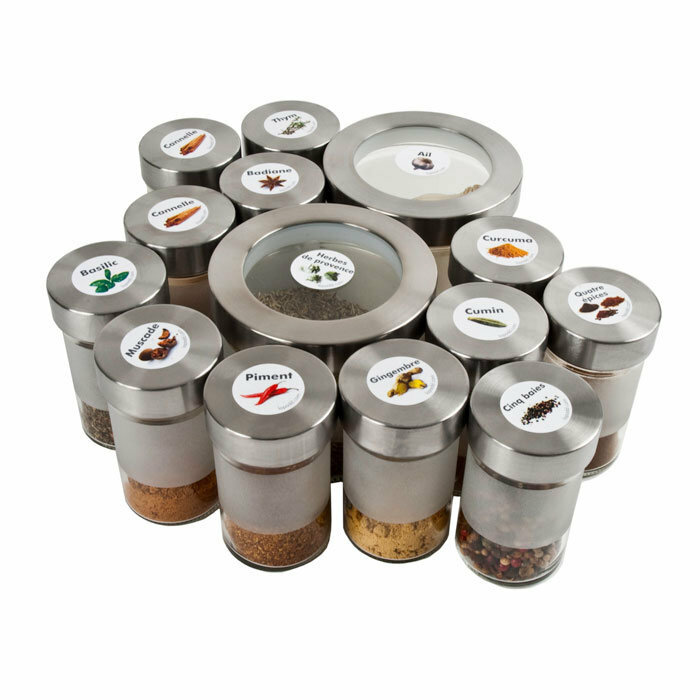 3. in a drawer, a box or even in the cupboard, your spices are from now on identifiable at a glance. 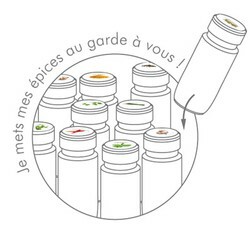 You can at last look at your spices from above! 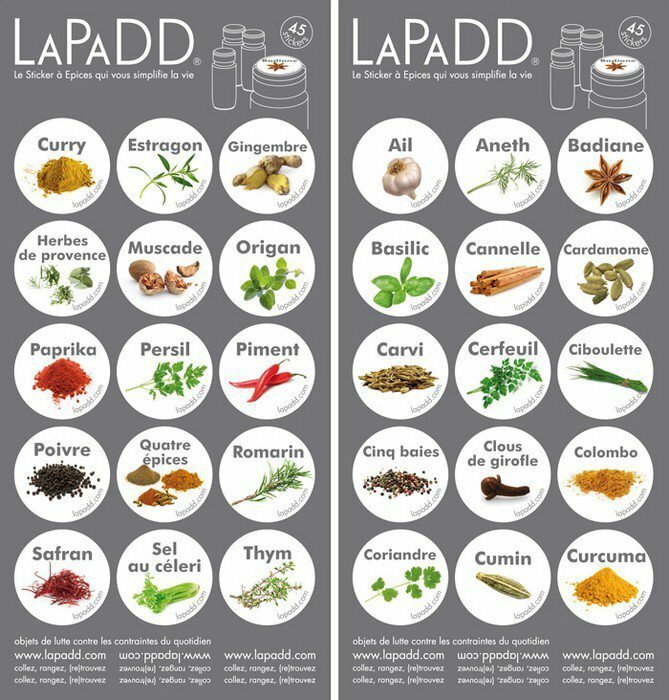 Allspice, Basil, Caraway, Cardamom, Celery salt, Chervil, Chilli pepper, Chives, Cinnamon, Cloves, Colombo, Coriander, Cumin, Curcuma, Curry, Garlic, Ginger, Herbes de Provence, Mixed peppercorns, Nutmeg, Oreganp, Paprika, Parsley, Pepper, Rosemary, Saffron, Star anise, Tarragon, Thyme. 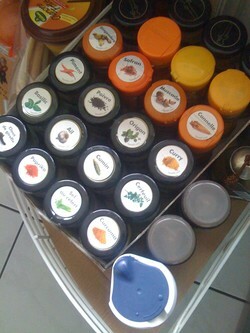 quality: stickers adapt to most spice boxes. Slightly varnished, they are protected from your wet or greasy fingers. 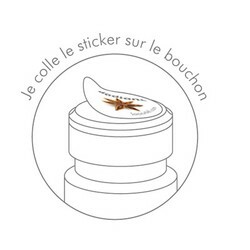 originality: we have looked everywhere in shops and on the web and have never found an equivalent product. We created them because they did not exist on the market. You can of course make them yourself, like we did at first, but it doesn't look anything as nice! It's a matter of choice! 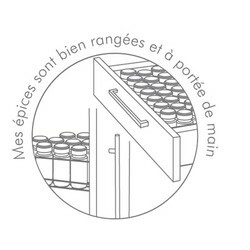 functionality: without stickers, spices tend to hibernate in cupboards or to multiply for lack of visibility. 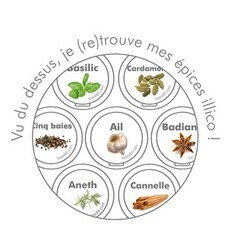 With the stickers, you use them more often, renew them properly and take pleasure in using new herbs and exotic spices.